The white form is preset to search for SUV and crossover vehicles in the 'Trieste - Airport' rental office. Address: Ronchi De’Legionari Airport, Trieste, Italy. 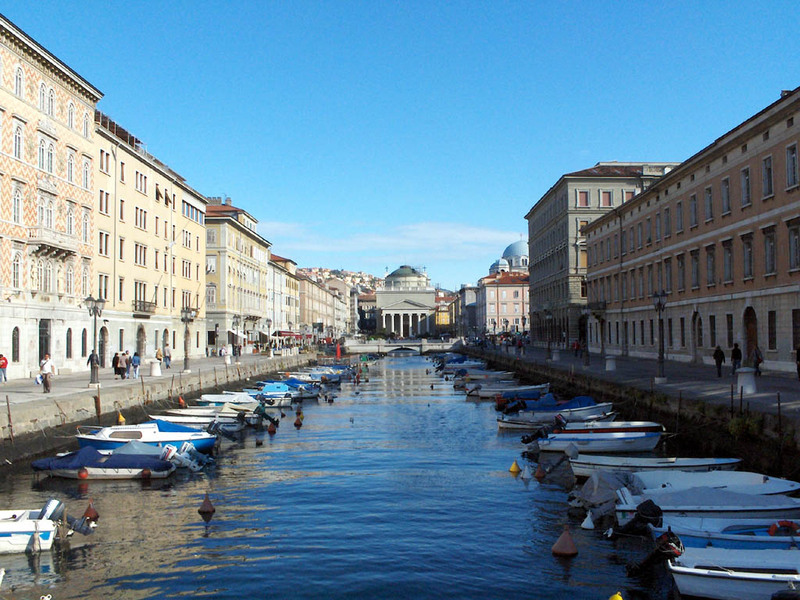 In Trieste, we offer vehicles at 2 different rental locations (see the links below). Normally, the best SUV rental offers in Italy are provided by offices located in airports and train stations. The most popular SUV models offered at rental locations in Trieste are: BMW X5, Hyundai Santa Fe, Suzuki Jimny, Hyundai Tuscon, BMW X3, Toyota Rav4 and others. If you plan to use an off-road vehicle in the mountains, it is recommended to order snow chains. This will save you from unexpected incidents. Other important equipment in Italy are mandatory child seats for travellers with children. 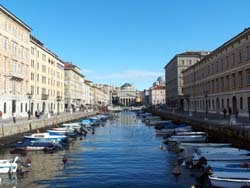 OrangeSmile.com wishes you a safe trip and green lights on the roads of Trieste! In accordance with the local traffic regulations, in addition to the abovementioned documents every driver must also have two emergency stop signs and a set of additional bulbs. You also need to have a reflective vest – getting off a car without it on a highway is strictly prohibited. The majority of petrol stations in the territory of cities are open from 7:30 to 19:30. During the daytime they may be closed for a break (from approximately 12:30 to 15:30). On Sundays, such petrol stations are usually closed. However, drivers will not have any difficulty finding a petrol station that works around the clock. Petrol stations along highways and other major roads usually work 24 hours a day. When driving on a highway, you should keep the receipt till the end of your way. An attempt to drive on a toll road for free may result in heavy fines. The minimal fine is 300 euro. Basilica of San Silvestro is the oldest church in the city. Its construction took place in the 11th century. In 1927, the basilica suffered greatly from an earthquake. Nevertheless, it has been reconstructed in no time. Not so long ago, they completed restoration of the old organ. Various musical events are held in the church presently. San Giovanni Park is a beautiful historic landmark, which is now constituted an integrated whole with a nearby Rose Garden. The garden was founded in 1908. It surrounded a psychiatric hospital opened around that time. The garden was open to the public in the 1970s. Different social events are regularly held on its territory. Floral fairs usually take place in summer. One of the most interesting cultural institutions in Trieste is the Museum of History and Art, which occupies a picturesque historical building. Its main value is the collection of ancient artifacts, discovered on the territory of Ancient Egypt and other ancient states. Visitors can see old sarcophagi, amulets, jewelry, and admire works of art from different ages. The museum stands on the territory of a beautiful garden. So you can admire lovely sculptures and old trees while walking around.